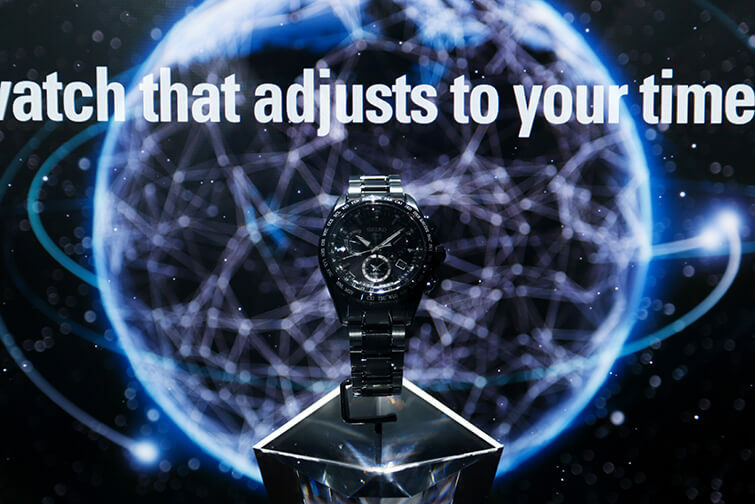 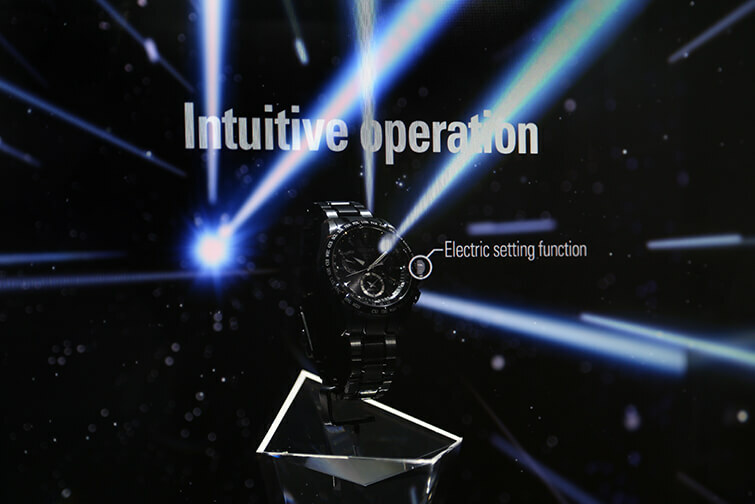 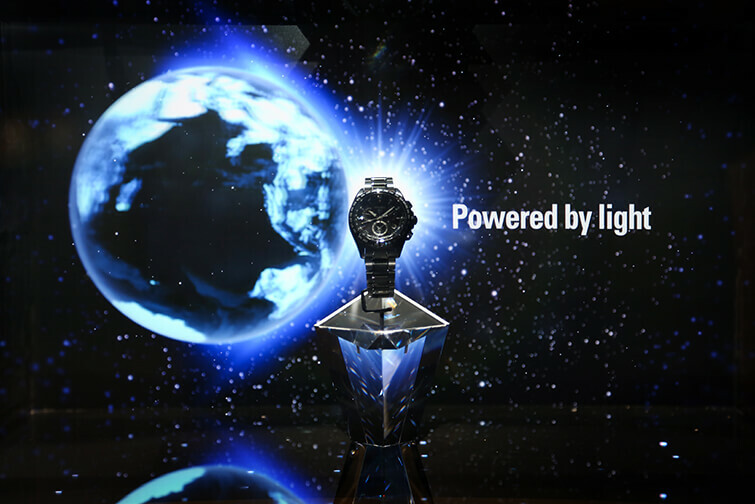 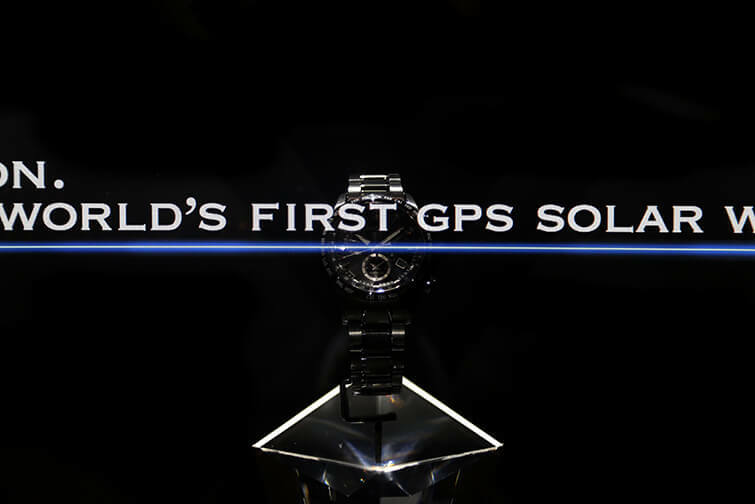 Holographic display for SEIKO ASTRON. 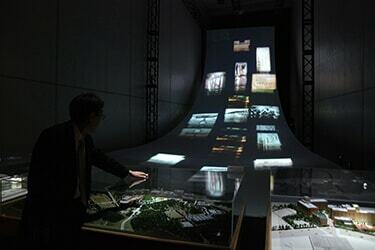 Version 3 of the exhibition that started in 2012. 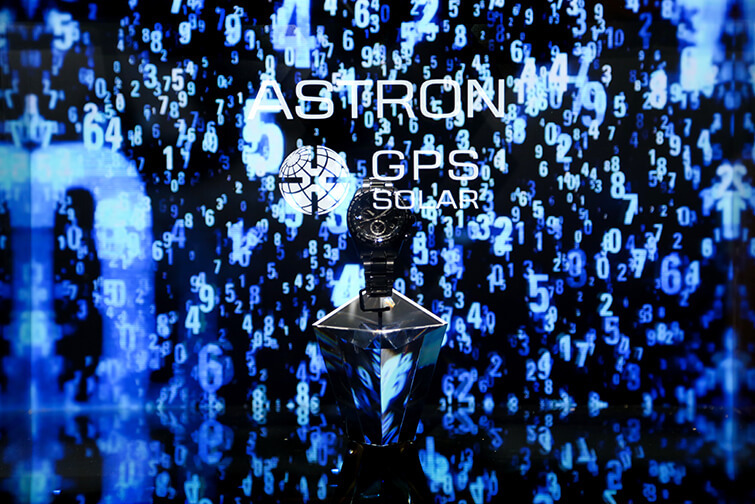 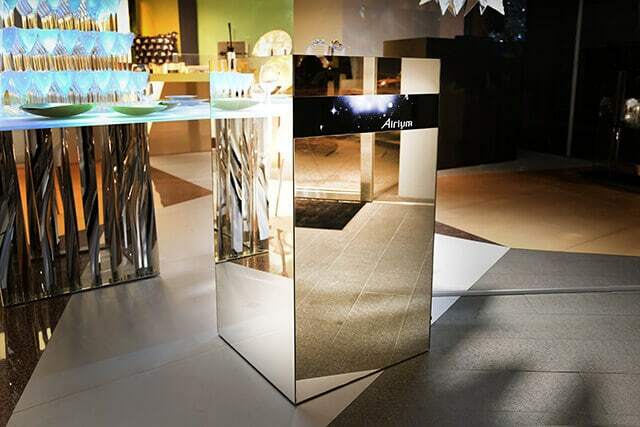 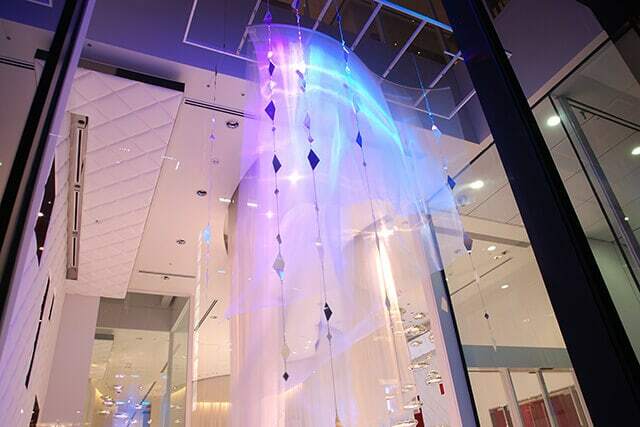 Being aware of ASTRON’s advanced functional beauty and the sense of floating that is peculiar to holograms, images overflowing with a sense of solidity and depth are expressed to produce a voyage through space-time by means of a digital world. 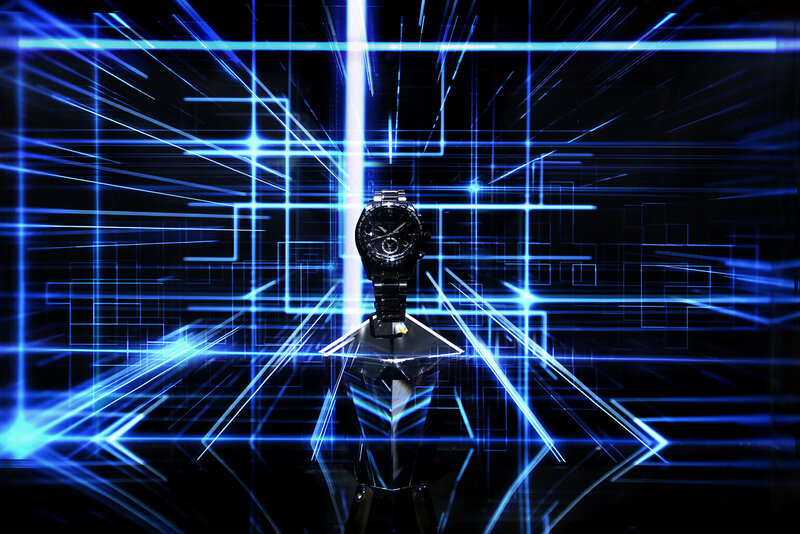 The watch-stand, with its specially designed polyhedrons, is an abstract design in the form of a ship. 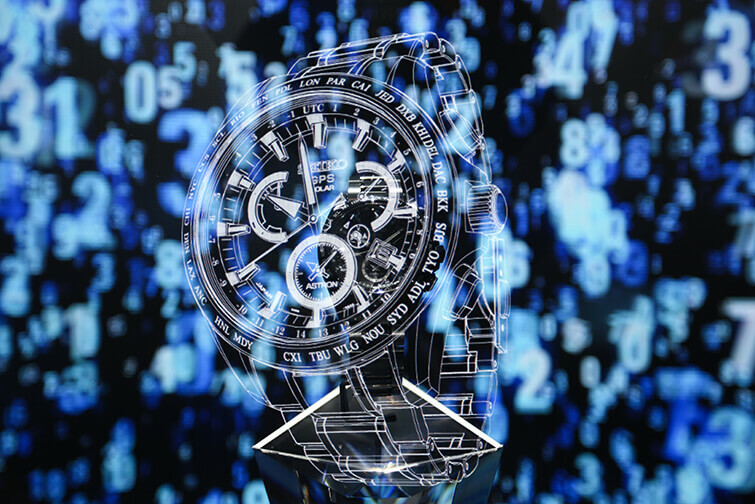 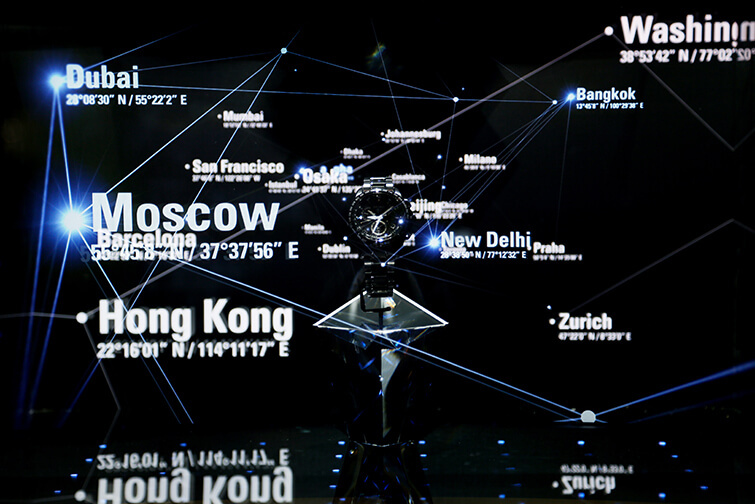 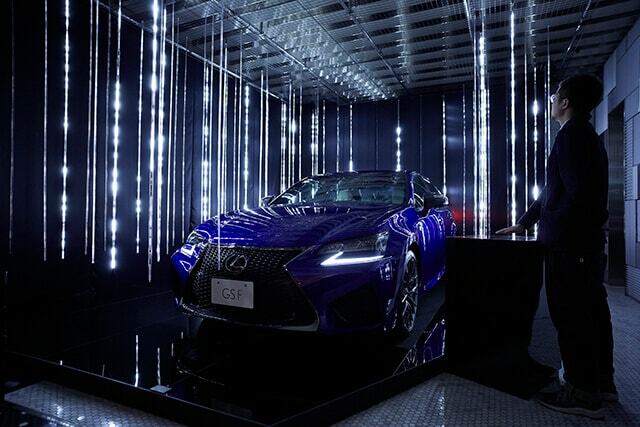 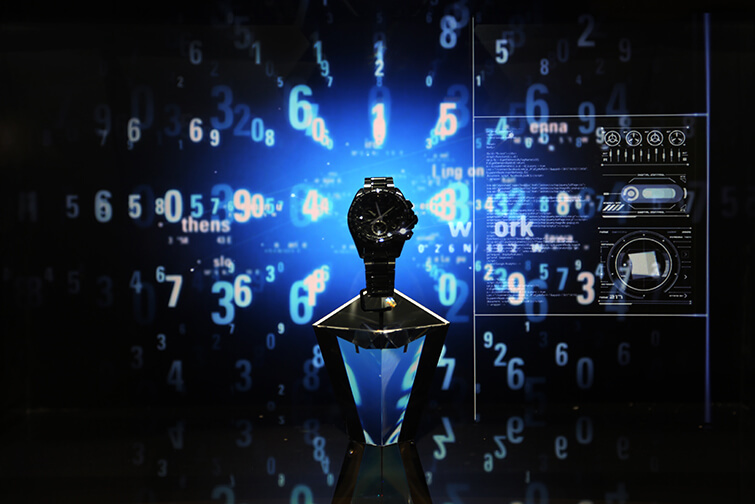 The work produced for the Baselworld 2015 held in Switzerland was later featured as a promotion window in countries worldwide.